In overwhelming numbers, today’s top brands are beginning to take stances on certain issues and stepping up on a soap box to make those positions known. In recent years, we’ve seen many businesses take positions on social and even some political issues. The conventional thought has long been that doing so runs the risk of 1. alienating some of your audience, and 2. opening your brand up to even harsher criticism of the campaign in question, but with time we’re seeing more and more companies and brands shift their strategies towards embracing the potential positive impacts of commenting on political and social issues. Maybe it’s companies beginning to cater to Millennials, or maybe these companies have deemed 2018 as the perfect time to begin a conversation about more than just their brand. A recent study from Weber Shandwick, a PR agency, found that 51% of Millennials would be more likely to buy products from companies that have a CEO that have taken a stance on a controversial issue. In recent weeks, we’ve all seen the Colin Kaepernick Nike ad campaign pop up in social media and on the news, with everyone from the President to your grandma weighing in. But during that time, a few other brands make social statements that demonstrate how doing so can go very right, and sometimes not so right. Animal Crackers, a Nabisco product, has a new look, embracing a packaging change that animal rights activists have long fought for. 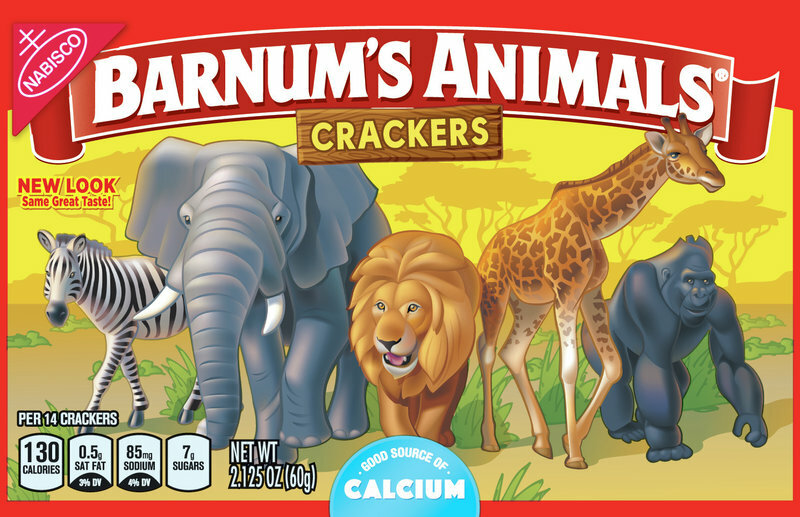 The Barnum’s Animals packaging makeover now shows the familiar animals from the original box out in the open, walking freely in the wild as opposed to in cages or circus tents, as previous packaging depicted. This change comes a little over a year after the Ringling Bros. and Barnum & Bailey Circus Company closed due to poor attendance that was at least partially brought on by criticism of the company’s treatment of animals. 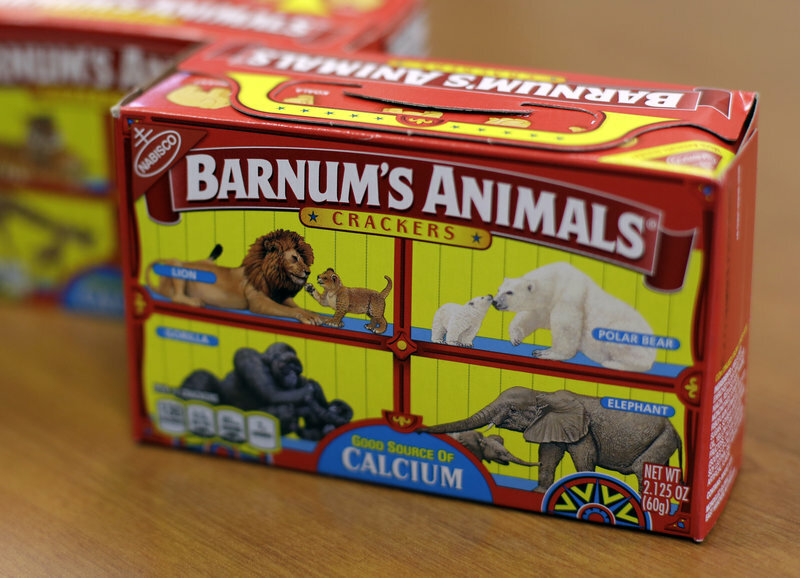 Even PETA weighed in on the Barnum’s Animals packaging change. “The new box for Barnum’s Animals perfectly reflects that our society no longer tolerates caging and chaining exotic animals for circus shows. No living being exists simply to be a spectacle or to perform tricks for human entertainment, yet all circuses and traveling shows that use animals treat them as mere props, denying them everything that’s natural and important to them,” via NPR. And in a culture that has seen a hefty spike in vegetarianism relating to animal rights, as well as an ever-expanding market for pet owners (in 2017, pet owners spent $69 billion on their furry friends), Nabisco knew that it was the right time to make this change. While there will always be someone somewhere who is crotchety about change, this packaging re-design was a virtually no-risk move that helps the brand align with consumer values. Another recently released ad was the new Land O’Lakes She-I-O campaign. While the campaign was aimed at bringing awareness to the women farmers out there, it missed the feminist mark that we believed it was going for. Land O’Lakes is a consumer brand best known for producing one of the world’s greatest gifts: butter. What consumers may not know, however, is that the brand is also a member-owned agricultural cooperative made up of 1,791 farmers And, according to the company, many of these farmers are women. In celebration of Women’s Equality Day in August, Land O’Lakes honored female farmers through a video that also served as the kick off to their new “All Together Better” campaign, which is aimed at creating awareness around the crucial role women play in an industry that many assume is dominated by men. From a production standpoint, the brand and its agency, The Martin Agency, killed it. The overall message, concept and visuals are spot on. The video is beautifully produced, featuring real female farmers in real farm environments. All the pieces are in place to make this a truly effective video…except the music. Teaming up with country music singer Maggie Rose, Land O’Lakes developed “She-I-O”—a new, progressive take on Old MacDonald that sought to transform the song from an antiquated nursery rhyme to an anthem of female empowerment. Now, I’m no music critic, and perhaps it’s the childish nature of the original, but the song feels hokey and nearly comes off as a mockery of the thoughtful and relevant message. As this Jezebel article points out, “…they cannot get any more specific about what she or we can do, other than working really long hours. In the service of what? Under which conditions?” Maybe that’s too much to ask for a three-minute video, but perhaps a different approach would have garnered a better reaction. At the end of the day, will the brand’s reputation be hurt by this song choice? Likely not. The overall message is authentic and one they can truly stand behind. But it is one more lesson to be learned about the ways brands should (or shouldn’t) participate in social commentary.